THE CLASSICAL DIFFERENCE. Classical education is different because it starts with different goals and produces different outcomes. It’s distinct from most private and Christian schools because the majority of them use the same curriculum as public schools. Instead of college and career readiness, our highest aims are to seek the formation of the soul, virtue, and living for a higher purpose. We disciple students to love great art and great books, and to appreciate the greatness of God. 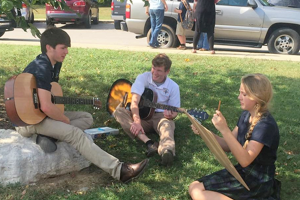 Classical Christian education nurtures the next generation of believers to live a life marked by a deeper understanding of Jesus Christ, His universe, His people, and His way. And college readiness is an added blessing. 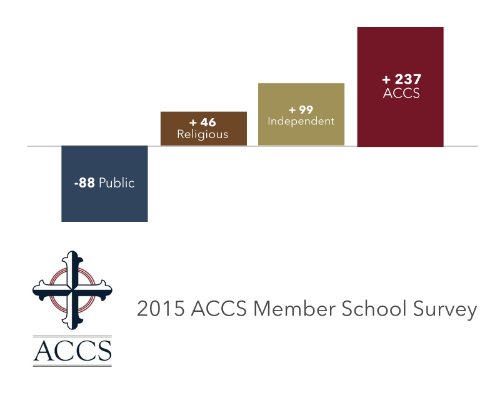 The red ACCS bar to right represents how the Association of Classical Christian Schools outperforms other types of schools on the SAT. 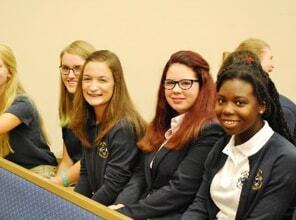 Agathos students’ average composite ACT score is 29. Over half of our 2018 graduates scored a 30 or higher. For reference, the 2017 Tennessee state average is 19.8 and the National average is 21. Using the tools of classical education, Agathos Classical School assists Christian parents in teaching and training their children to the glory of God. Agathos exists to support parents in teaching and training their children to the glory of God. 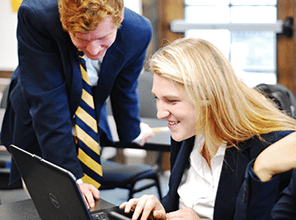 Using the time-proven tools of classical education, students develop a love of learning and the capacity to pursue any area of study to which the Lord leads them. 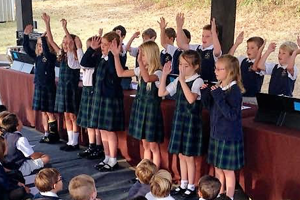 Our small classes and family-like community encourage students to achieve their fullest God-given potential. Agathos Classical School recognizes that an excellent education never takes place in a moral or philosophical vacuum. We believe it is founded upon a disciplined, eager attention to learning, which rests upon the student’s moral character. Preparation to further the kingdom of God through our students and graduates now and in the future, in ways that we cannot imagine. Our Name: Agathos is a Greek word meaning good, that which is beneficial and worth passing on to others. Our Logo: The shield represents the armor of God. Each point of the cross signifies God the Father, the Son and the Holy Spirit. When the four ends are multiplied the total is twelve. This is a reminder of the original disciples and how we are called to be disciples as well. The color is gold. Gold is pure, beautiful and valuable-a precious gift befitting a king. Just as the wise men presented gold to the Christ Child, we are called in Romans 12:1 to present ourselves ‘a living sacrifice, holy, acceptable unto God…’. When our children wear this insignia let us use it as a tool to continue to teach them of God’s gift of His Son on the cross and what our response to that gift should be. Our Motto: “Soli Deo Gloria” is Latin for “To the glory of God alone”. That Agathos Classical School will implement a classical approach to education founded on a Christian worldview. That Agathos Classical School will prepare students for a lifetime of learning by equipping them with the basic tools of learning. At the completion of an education at Agathos, we desire our graduates to be young men and women who possess the classical tools that enable them to acquire the facts (grammar), reason clearly (logic), communicate effectively and persuasively (rhetoric), and live a life to the glory of God alone (Soli Deo Gloria). They will know how to think rather than simply what to think. 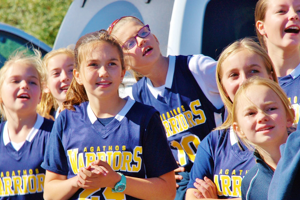 Our long-term vision is to have an independent campus on which the school will function as a Pre-K through 12th grade classical and Christian school with a full complement of academic, extracurricular, and athletic programs. The Lord has been faithful to establish and bless this work. 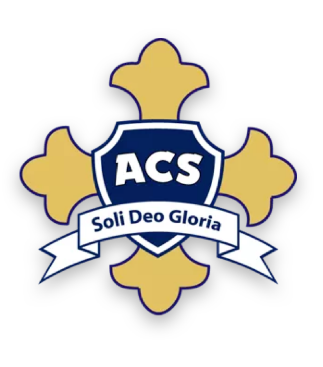 Great efforts by many people have aided in the founding of Agathos, but ultimately all glory and honor must be given to Christ whose grace will uphold Agathos Classical School. Unless He builds our house, we labor in vain. 1st permanent classroom building, Paideia Hall, constructed. Basketball and volleyball teams added. Enrollment: 160. Legacy Pavilion, soccer field, & fire pit added. 10th Anniversary! Parker-Seago Service Award established. Enrollment surpassed 100. 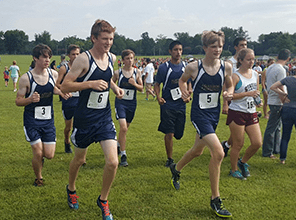 Cross-Country & Fencing teams established. Opened Mapleash campus with 4 cottages. 1st Cocoa Bella. Purchased property at 1202 Mapleash Ave. 1st Stone Soup Supper. Relocation to Pleasant Heights Baptist Church. 29 students (PreK-2nd) meet at Williamsport Pike Barn.